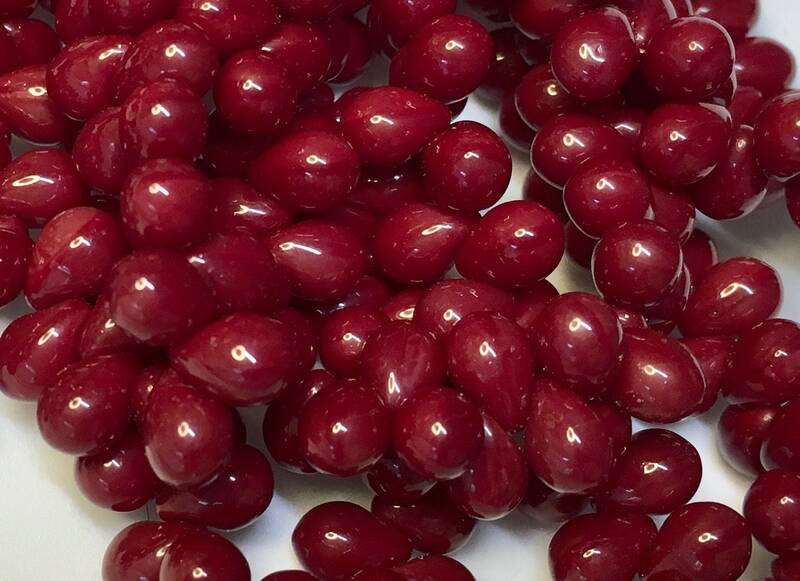 50 teardrop beads, intense red opaque. Beads are top drilled and measure 5mm x 7mm. This shop had a very nice color selection of this size teardrop. Lovely beads. Shipped quickly. Great product. Thank you very much!